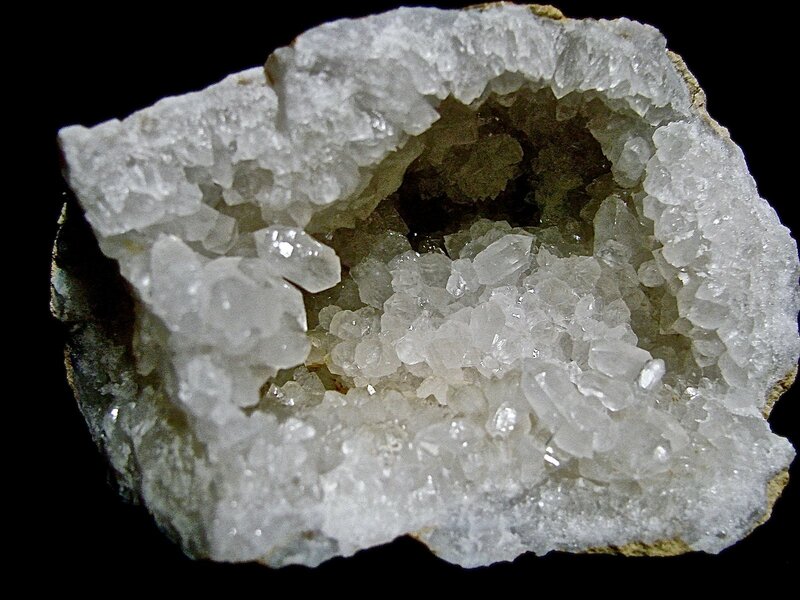 Description: Quartz Geode Several quartz crystals lying side by side. The largest crystal is a full 1.0 cm and doubly terminated. Very rare.